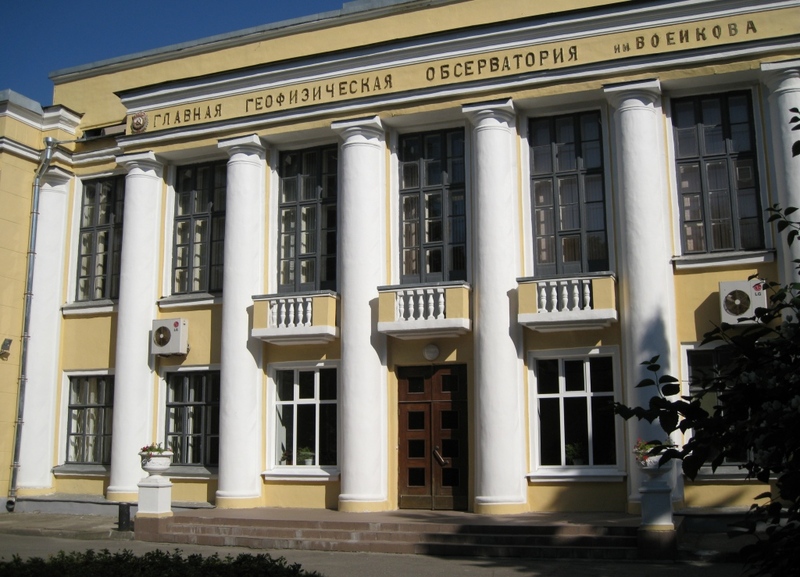 The Federal State Budgetary Institution "Voeikov Main Geophysical Observatory" (FGBI "MGO") is the oldest meteorological institution in Russia. The history of the MGO is a chronicle of major scientific achievements in the field of Earth's atmosphere science. The first Russian studies on climatology, dynamic meteorology, aerology, actinometry, a number of directions of atmospheric physics (cloud physics, atmospheric electricity, boundary layer physics), atmospheric diffusion and atmospheric pollution began at the MGO. The MGO is the scientific and methodological center of Federal service for hydrometeorology and environmental monitoring of Russian Federation for the management of meteorological, actinometric, heat balance, meteorological, meteorological radar, ozonometric observations and observations of atmospheric electricity, chemical composition of precipitation, pollution of atmospheric air and background atmospheric conditions for a number of ingredients, as well as works in the field general and applied climatology. - Assessment of the effectiveness of the use of hydrometeorological information in economic sectors, including the effectiveness of weather modification.